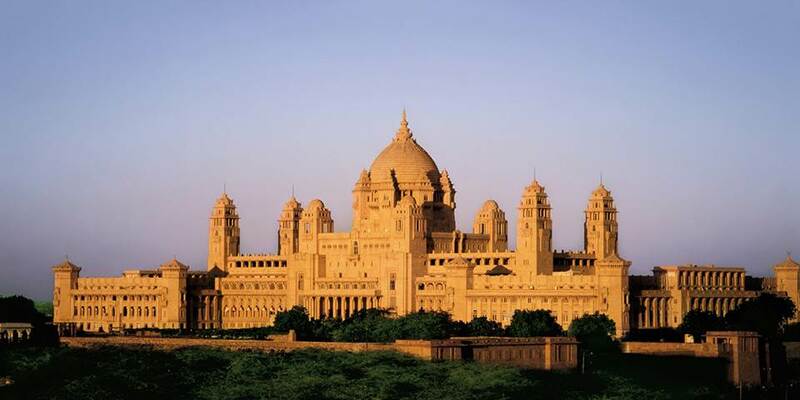 Perched high above the desert capital of Jodhpur and dominating the skyline is the magnificent and flamboyant Umaid Bhawan Palace, one of the last great palaces of India and still home to the present Maharajah of Jodhpur. Set in 26 acres of lush gardens, it is named after Maharajah Umaid Singh, who commissioned the building of the palace as a new symbol of Jodhpur and to give employment to the Marwar people during a time of great famine and drought. Constructed in the golden yellow sandstone of the region in the Art Deco style fashionable at the time it took 15 years to complete. Designed by the renowned Edwardian architect Henry Lanchester it is a blend of both eastern and western influences. 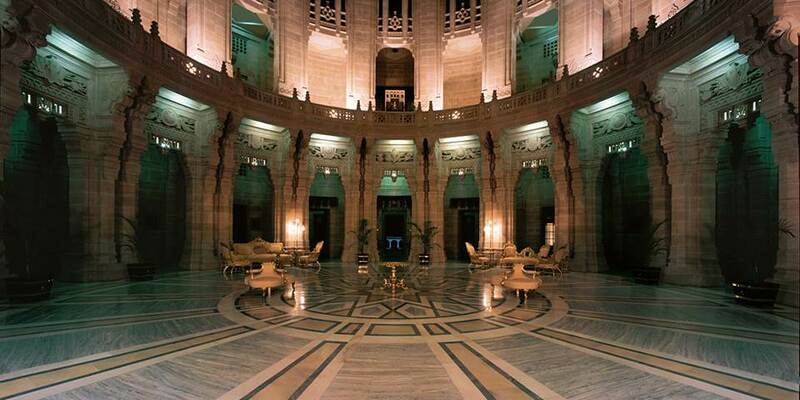 Dining at Umaid Bhawan Palace is a delight. Pillars, open all day for meals, snacks and leisurely drinks is set in a lovely colonnaded veranda with views across the lawn on which peacocks strut in the crisp morning. Risala, the fine dining restaurant is adorned with Royal and military portraits. The menu here comprises a delicious blend of Continental and Indian cuisine which clients can savour with wine from a collection of more than 200 bottles from around the world. Sunset Pavilion has the most spectacular location and is one which should not be missed. This is the brain child of the present Maharajah; guests are taken in the 1940’s elevator, through the “Whispers” gallery lined with old royal photographs up to the highest dining point in the city with spectacular views. Royal barbeques and grills are on offer here with signature dishes such as Khargosh Lamb or grilled Angus steak. Umaid Bhawan Palace also offers guests a choice of unique dining experiences, gourmet dinner at Mehrangarh Fort comes with an extravaganza of folk music, cocktails and fireworks. The Desert Dining deep in the Thar Desert has a traditional welcome with the music of the desert and with a grilled feast cooked in open barbeque pits. Eating is not the only experience here; there is a panelled recreation room for a game of cards or billiards, two magnificent swimming pools , the Zodiac underground one and an outdoor one set in the gardens. Energetic guests have the choice of tennis or squash while golf and horse riding can both be easily arranged, or take a drive in a vintage car with your butler around the fascinating streets of Jodhpur. Inquisitive guests should visit the hotel’s resident Astrologer who consults the future in their palm and in the stars. 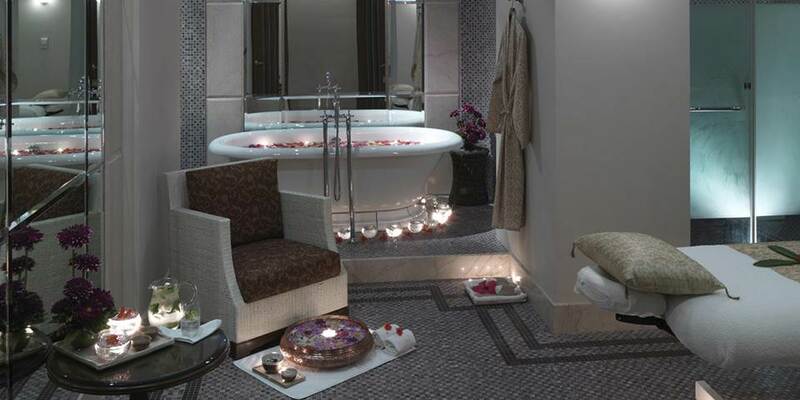 For those seeking pure indulgence it is hard to beat the luxurious Jiva Grande Spa a haven of relaxation deep in the heart of the Palace. 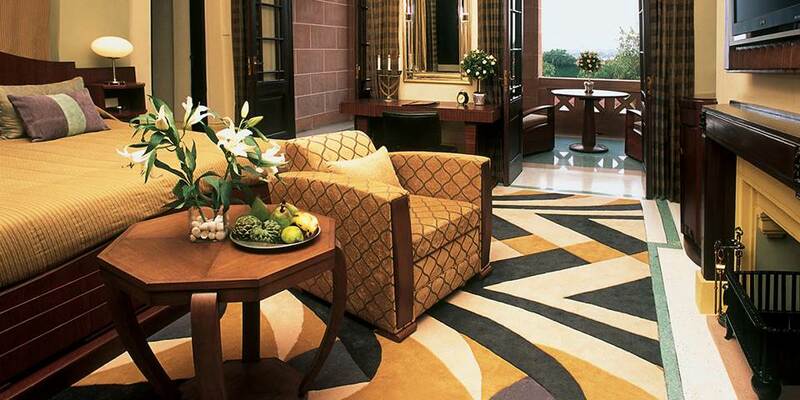 Each of the 64 rooms and suites has a different ambience which showcases the Art Deco style. The 22 Palace rooms offer a refreshing blend where the new co-exists comfortably with the original décor from princely times. Complementing the rooms are the 42 suites which range from the Historical Suites with their mix of Art Deco and Neo Classical themes, through the Royal and Grand Royal Suites which each have their own unique theme, beautiful marbled bathrooms and private balconies which overlook the beautiful gardens and the city beyond. 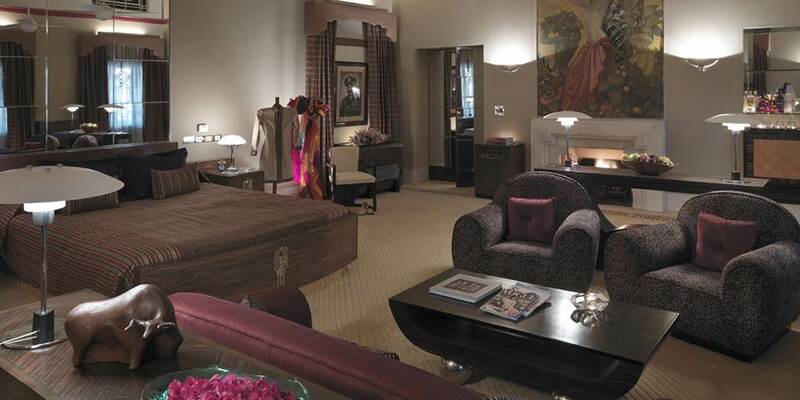 The height of luxury are the Maharajah and the Maharani suites. The feminine Maharani Suite is decorated in pinks, blacks chrome and mirrors with all the original Art Deco features retained, it includes spacious dining and drawing rooms and a huge private terrace with spectacular views of the gardens and Mehrangarh Fort. The Maharajah Suite is more masculine in décor with murals of leopards, tigers and horses, and a drawing room with plush sofas in faux leopard skin and a delightful mirrored bar.